The present paper deals with the concept of new emerging technology called Claytronics. This paper explores the published articles that report on results from research conducted by the Intel and Carnegie Mellon University. 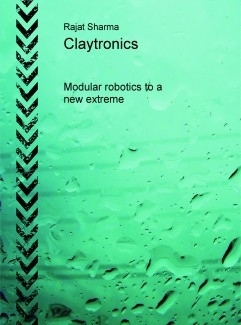 Claytronics is a form a programmable matter that takes the concept of modular robots to a new extreme. The research is the brainchild of Seth Goldstein, an Associate Professor in the Computer Science Department at Carnegie Mellon University and Todd Mowry, Director of Intel Research Pittsburgh. They determined that, by taking advantage of advances in Nano-scale assembly, they might create human replicas from ensembles of tiny computing devices that could sense, move, and change colour and shape, enabling more realistic videoconferencing. The vision behind this research is to provide users with tangible forms of electronic information that express the appearance and actions of original sources.